The weather held off--in fact the sun came out as we enjoyed four strong Readers last Monday. Steven Schmidt started off with intelligent, thoughtful poetry; Louisa Calio alternated between contemplative poetry and a hilarious essay; Tom Phelan's reading from his new novel was brooding and moving; and Roxanne Hoffman topped off the evening with lyrical, delightful pieces that sent the large crowd home happy--and full of brownies and crumb cake! We have a very special group of readers this week-- truly a night not to miss! Richard Vetere wrote the critically acclaimed novel The Third Miracle (Simon & Schuster) called "A thriller from start to finish." by Publishers Weekly and he co-wrote the film adaptation produced by Francis Ford Coppola, directed by Agneiszka Holland and starring Ed Harris. His new novel Baroque (2010) and his new book of poetry Selected Poems (2011) are both published by Bordighera Press. His new play Last Day will have its world premiere at Gloucester Stage on July 21st. His first young adult play Bird Brain is being published by Dramatic Publishing this year. Richard has a master's in English Literature from Columbia University and was just been made a Lifetime Member of the Writer's Guild of America East. Cindi Sansone-Braff is an entertainer, relationship coach, mystic, professional Tarot card reader and Medium with more than fifteen years experience. She teaches spiritual workshops based on her book "Grant Me A Higher Love", gives lectures in which she shares her own experience of Enlightenment, and gives private Tarot readings throughout the United States and around the world. She has read Tarot cards at the New York Theosophical Society, and at many corporate events, including those sponsored by Cablevision. She has thousands of clients and many well-known celebrities are among her biggest fans. She can be heard on radio stations nationwide and throughout Canada. Cindi has a BFA from the University of Connecticut, and has written several award winning full-length plays, including "Beethoven's Promethean Concerto in C Minor WoO", A Four Movement Music Drama based on Ludwig van Beethoven: the Man, the Myth, the Music; and "Phantom Pain", a riveting theatrical piece about love, fear, and Enlightenment. She lives on Long Island and has one grown daughter, Shana. Lloyd Abrams,an avid recumbent bicycle rider and Wheaten Terrier walker, has been writing short stories for over twenty-five years after being involved with the New York City Teachers Writing Project as a participant and later, as a facilitator, back in the 1980s. Besides his eighty plus stories, he has written vignettes for - and has acted with - the Nassau County Mental Health Players. Several years ago, Lloyd added poetry and micro-fiction to his repertoire. He has found that poetry gives him a writing experience with more instant gratification and another creative way of using words for catharsis, for self-expression, and for sharing. Lloyd's poems and stories have been published in several anthologies and local publications. Children's book author, award winning poet, and comedian, Darren Sardelli, makes poetry fun and exciting for people of all ages. He was a huge hit last year at the Gazebo, and we welcome him back with gusto! His humorous poems are featured in 12 children's books, 6 textbooks, and have been published in several magazines as well. Aside from writing, Darren visits 50 - 60 elementary and middle schools each year (where he performs his funny poetry for students and teaches them how to spice up their writing with humor, creativity, and imagination). We're back! 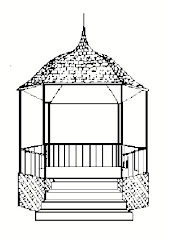 Our 5th season promises to be spectacular--great authors and poets (twenty of whom will be making their Gazebo debut), generous sponsors--and delicious desserts waiting, all served up on Schoolhouse Green. Elizabeth Rowe is a professional storyteller from Oceanside, NY. She regularly performs her repertoire of world folk tales, myths, legends, literary short stories and personal tales in schools, libraries, museums, conferences and festivals throughout the metropolitan Tri-State area. She is widely known for a vast repertoire of ghost stories collected since she was a student. Elizabeth has been a regular performer for the New York Story Exchange at the Cornelia Street Café in Greenwich Village since its inception in 1997. Other featured appearances include the Heckscher Museum of Art in Huntington, the Players' Club, Manhattan; Wave Hill, NY and LI Cablevision's Tell Me a Story. She has conducted workshops for parents and teachers with the New York State Reading Association, the Long Island PARP Conference and the Columbia Teachers' College Writers' Project. Ms. Rowe is a member of the National Storytelling Network. You can visit her website at www.Storytellerowe.com . J R (Judy) Turek has been writing since she was 5. She is in her 14th year as Moderator of the Farmingdale Creative Writing Group, has been nominated for a Pushcart Prize and winner of the Conklin Prize for Poetry. Poetry awards include: The North Sea Poetry Scene (1st place 2009, 2nd place 2008), Mid-Island Y JCC 2006-2010 (1st place 2008), Writer's Digest 74th Annual Competition (2), Princess Ronkonkoma Productions (2004 - 2010), Towe Auto Museum, Live Poets Society, Lake Ronkonkoma Historical Society, and The Huntington Historical Society. J R is the author of They Come And They Go, who strives to write a poem a day and mostly succeeds. She is the Executive VP for the Nassau County Poet Laureate Society and 1st Associate Editor for The North Sea Poetry Scene Press. She is an editor of poetry collections and anthologies, short story collections, and novels. J R is a frequent reader, feature and open mic, 3 or 4 sometimes 6 times a week, at poetry events throughout Long Island. J R has been published in: Voice of the Bards Anthology; Intrepitude; Forgiveness Anthology; Perspectives Anthology; Examination Anthology; PAUMANOK: Poetry and Pictures of Long Island; Shabdaguchha; 2011, 2010, 2009 Haiku Calendar; The Poets Art; Grassroot Reflections, Volumes 3 through 19; Long Island Sounds: 2009, 2008, 2007, 2006; Performance Poets Association Literary Reviews #8 through 15; primal sanities! ; Asbestos; Free-Wheeling: Towe Auto Museum Poetry Collections, 2007 and 2006; Soul Fountain; Friends of Hempstead Plains Poetry Anthology; The Meadowlark; Long Island Quarterly; For Loving Precious Beast; The Long Islander; the East Meadow Herald; Long Island Expressions Autism Awareness; 2001: A Long Island Odyssey; and the Farmingdale Poetry Chapbook. Her poetry will appear in: River of Earth and Sky: Poems for the 21st Century; The Long Islander; Long Island Sounds 2010-2011; and Writing Outside the Lines. J R is a lifetime Long Islander who resides in East Meadow with her soul-mate husband, her dogs, and her extraordinarily extensive shoe collection. You can contact her at msjevus@optonline.net. Talia Carner's first novel, PUPPET CHILD, was listed in The Top 10 Favorite First Novels 2002 (BookBrowse.com) and launched The Protective Parent Reform Act, now passed or under consideration in two dozens states and which was the platform for two State Senatorial candidates. Her second novel, CHINA DOLL, became the platform for her presentation at the U.N. in 2007 about infanticide in China-the first ever in U.N. history. Talia Carner's latest novel, JERUSALEM MAIDEN, will be published in 2011 by William Morrow (an imprint of HarperCollins.) Before turning to fiction writing, Carner worked for Redbook magazine and was the Publisher of Savvy Woman magazine. 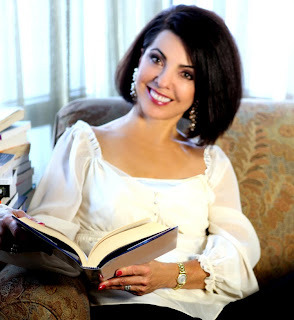 A former adjunct professor at Long Island University School of Management and a successful marketing consultant to Fortune 500 companies, she was also a counselor and lecturer for the Small Business Administration, a member of United States Information Agency missions to Russia, and a participant at the 1995 International Women's Conference in Beijing. 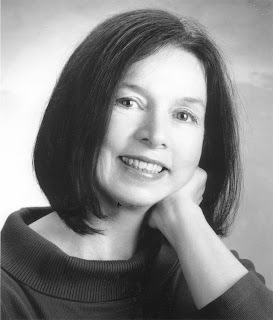 Linda Tagliaferro has been a freelance writer for 21 years. She freelanced for The New York Times - Long Island section for 9 years, and her articles have appeared in a wide variety of publications ranging from Boy's Life to Maxim. She currently writes longisland.about.com, a website for About.com, a New York Times company. Her website has articles about Long Island attractions, monthly events calendars and more. You can send information about Long Island events to her at longisland.guide@about.com. She also offers a free newsletter for her website. You can sign up at longisland.about.com/gi/pages/stay.htm. Linda has written 9 nonfiction books for adults and teenagers, including a Complete Idiot's Guide on genetic engineering and cloning and an A&E Biography book on the life of martial arts legend Bruce Lee. In addition, she's the author of over 30 nonfiction books for children on nature and animal topics. An experienced travel writer she is also a contributing author of five National Geographic books: Journeys of a Lifetime, Sacred Places, Food Journeys, Secret Places and their forthcoming book on New York City. She has traveled the world and lived in Italy, Denmark and Indonesia. Her hobbies are dancing and opera singing. She has spoken at museums, bookstores, libraries and schools about her books. Find out more about her books and book talks at her website at www.lindatagliaferro.com.